Peter O'Mahony settles himself into the chair at the top of the room with a trademark scowl on his face. The Munster skipper's expression rarely changes when on media duty, but it seems he is even less impressed with the fourth estate than usual. He is back in red, but the Six Nations remains an open wound and the blindside flanker believes there has been an over-reaction to Ireland's loss to Wales in Cardiff. O'Mahony is a man who chooses his words carefully and "strange" is the one he reaches for when he considers the discourse since the 25-7 loss. 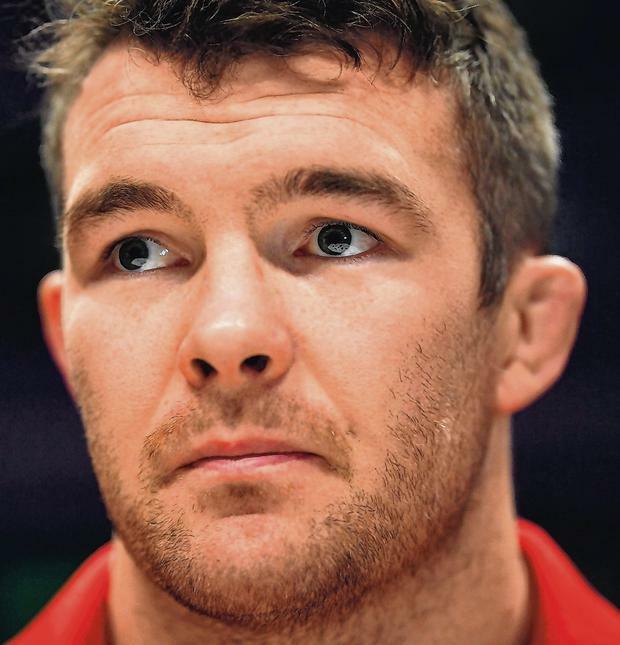 Asked by Virgin Media reporter and Irish Independent columnist Sinead Kissane if there has been an over-reaction, O'Mahony replied: "absolutely". And while he added that he wasn't overly bothered by what happens outside the four walls of the Irish set-up, he was still keen to make the point when he sat in front of the written press at the University of Limerick. Highlighting Ireland's impressive run of 21 wins in 24 internationals since their last defeat away to Wales in 2017, O'Mahony gave the impression that he was unhappy with the coverage of the team. "I've been in plenty of days like Cardiff," he said. "What you do? You have to get on with it. It's not the ideal one because you don't have one after it but that's life, that's the game we play in. "You take your few days off and spend a bit of time with the family and you're back into a different family here and you get on with it. "That's the worst thing and great thing about rugby, we can get back with a group of guys we spend a lot of time with and it's good to be back. "I've certainly learned to (compartmentalise) it better but I think there was a strange reaction to some of the stuff that's been going on for the last few weeks, to be honest, but that's part of it. "I just felt there was a bit of a strange reaction to it but look, this is part of the game we're in and I've certainly learned better over the last few years to say, 'right, that's done now'. "Because, as I said, it's too big a week for me to be hanging around. "I had a nice few days off, spent some time with the family and back in here to a great buzz. "You can tell straight away when there's Europe coming up. You come in the door of the place and there's a great buzz always. It's good to be back." After a week off, it's straight into the important stuff with a tough Champions Cup quarter-final against Edinburgh on Saturday. "They have probably been the in-form team this season, with regards to some of the performances," O'Mahony said of the Scots. "They have one loss this year at home to Cardiff Blues, and it was only by a couple of points. They have made it very difficult to go and get a win over there. "They have a great structure now under Richard Cockerill. The game plan and the structure that he has provided, they have really taken to it and have really stamped their authority on it. "They are a difficult side to play against. Very, very good defence. They play some excellent rugby when they get into your half. They have a big kicking game as well which is pivotal to what they do. "Then you have guys like Bill Mata, Hamish Watson is back now, John Barclay made his comeback last week. They have a very good set-piece. Their lineout stats are some of the best in the competition." O'Mahony is focused on the challenge and Munster fans will draw comfort from the fact he seems annoyed. They'll hope it transfers into one of those big performances in red.